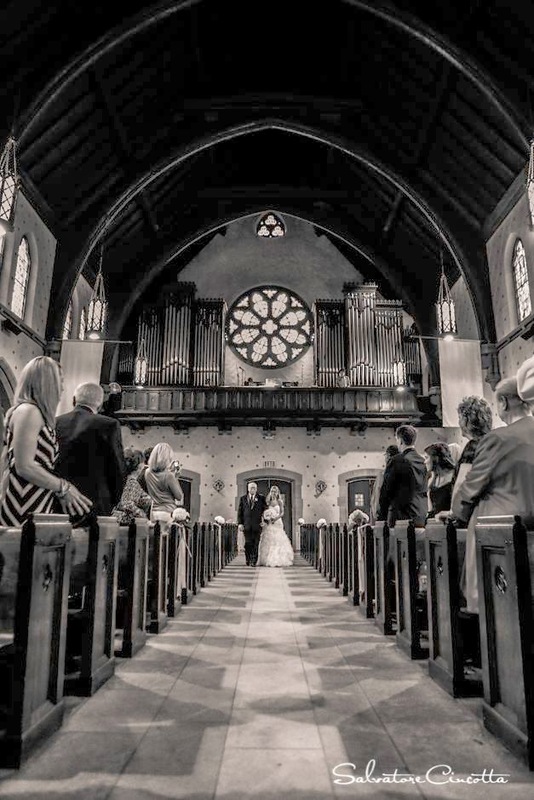 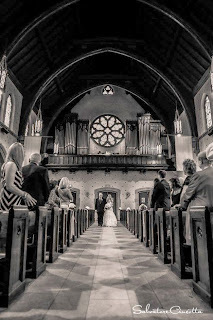 This loving couple tied the knot in May. 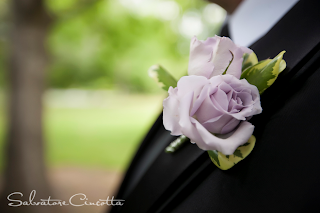 They wanted cool shades of lavenders and blues to complete the look of their day. Take a look at their story in images by Salvatore Cincotta. Alisa carried an all rose bouquet using garden, standard, and spray roses. 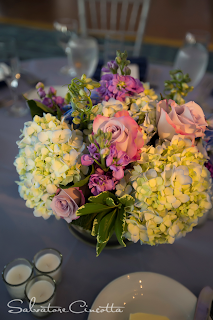 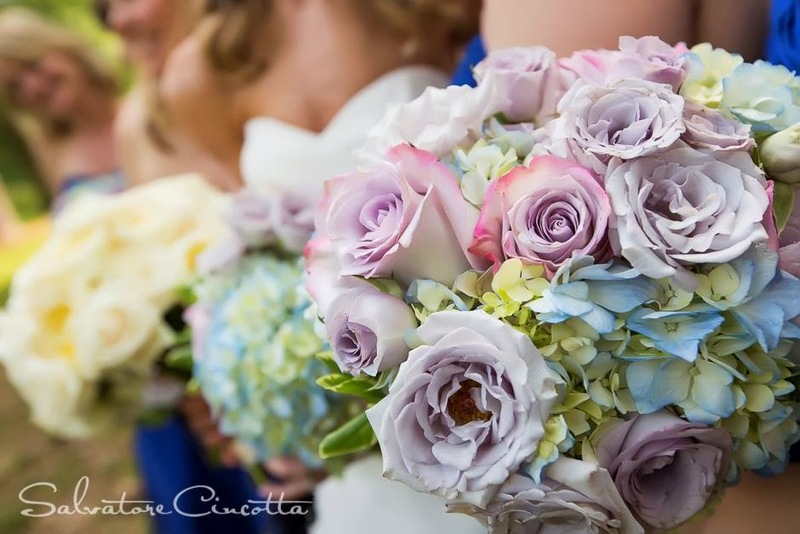 Her maids carried a mix of cool blue hydrangea and very pale lavender roses and spray roses. 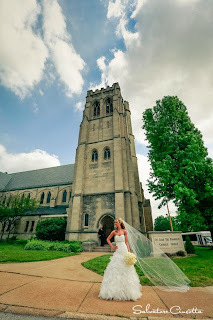 Alisa ready to walk down the aisle! 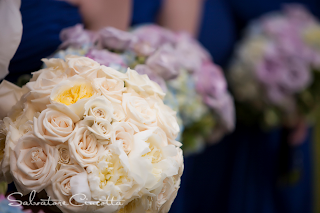 These lush spheres of wedding flowers were used at the altar for the ceremony. Keep any eye out for them at the reception! 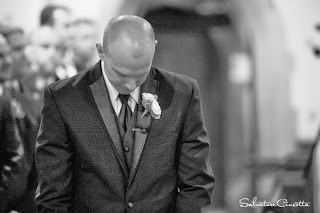 Dan waits for his bride. 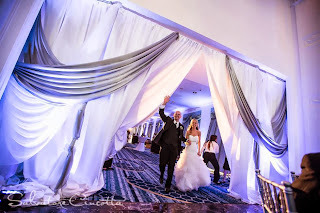 Newly married Dan and Alisa ready to start their celebration at the Renaissance Grand! 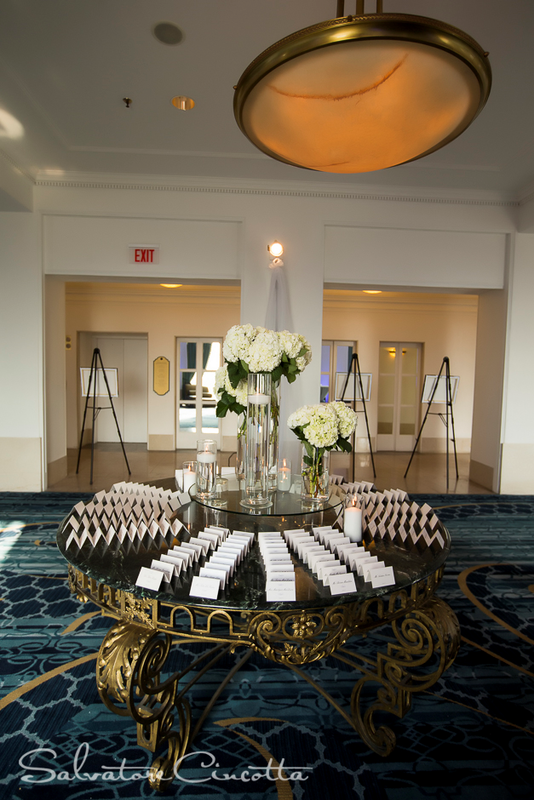 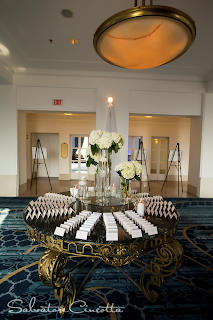 Place card table in the Crystal Ballroom. 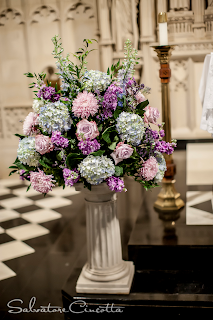 The white hydrangeas appeared at the ceremony first as aisle decorations. 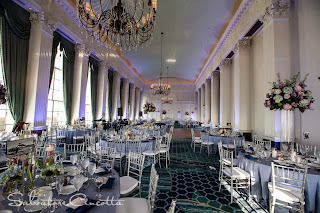 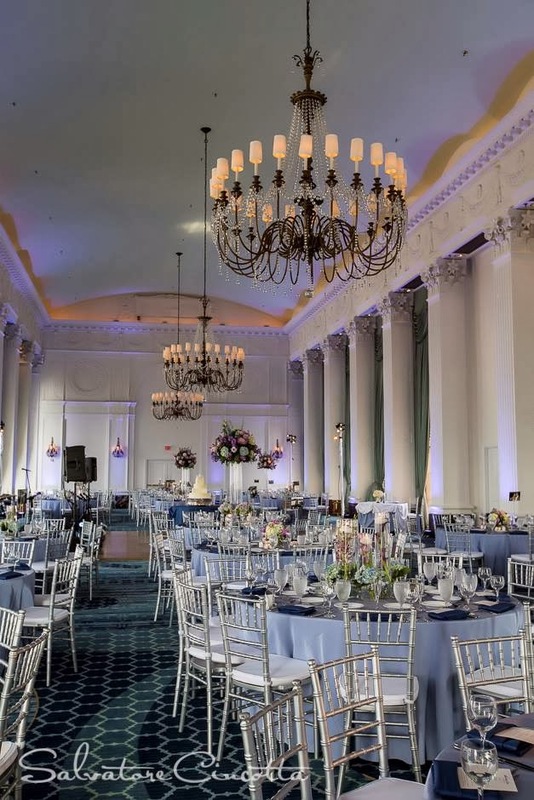 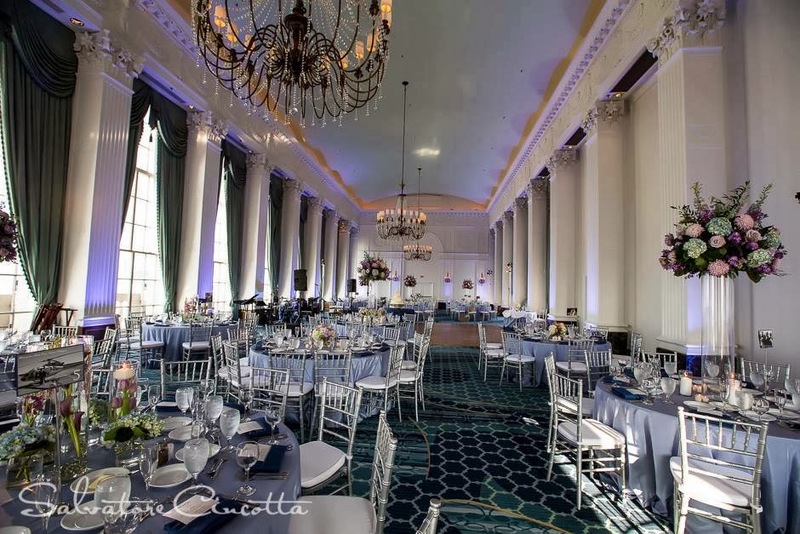 First look at the whole Crystal Ballroom. 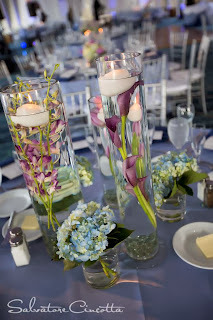 Three different centerpieces were created for the guest tables. 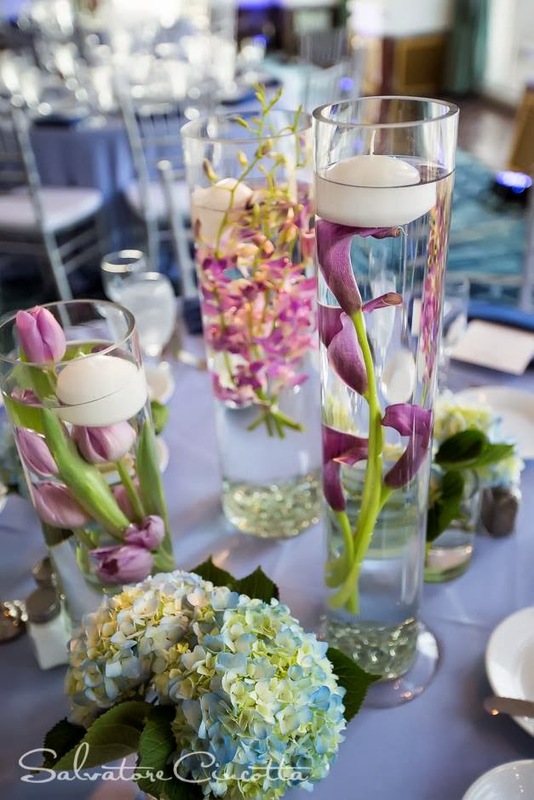 A collection of vases with submerged blooms and floating candles filled some of the tables. A low, lush, mixed arrangement of wedding blooms filled other guest tables. 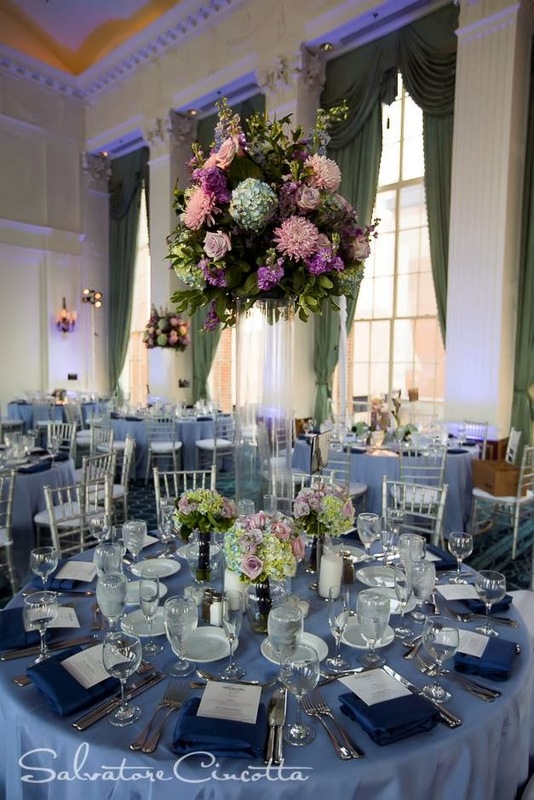 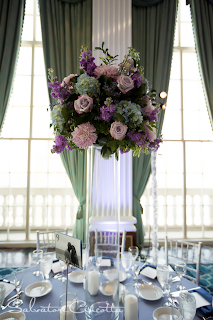 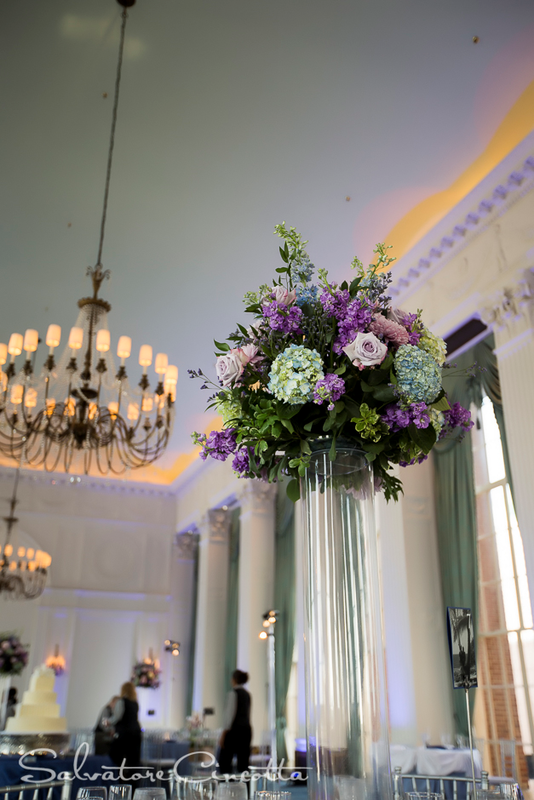 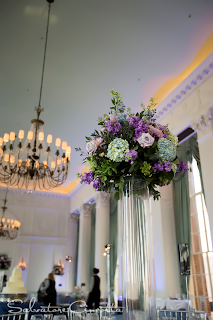 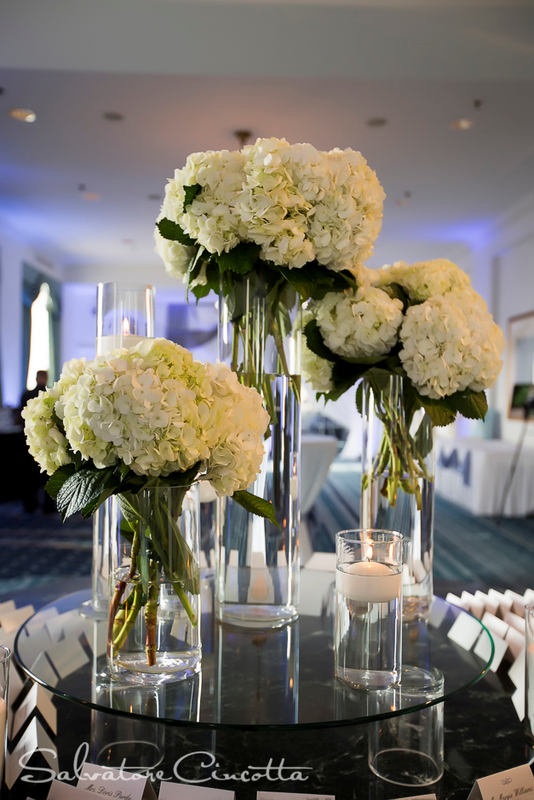 These full, flower spheres topped clear cylinder vases for a tall statement in the reception room. 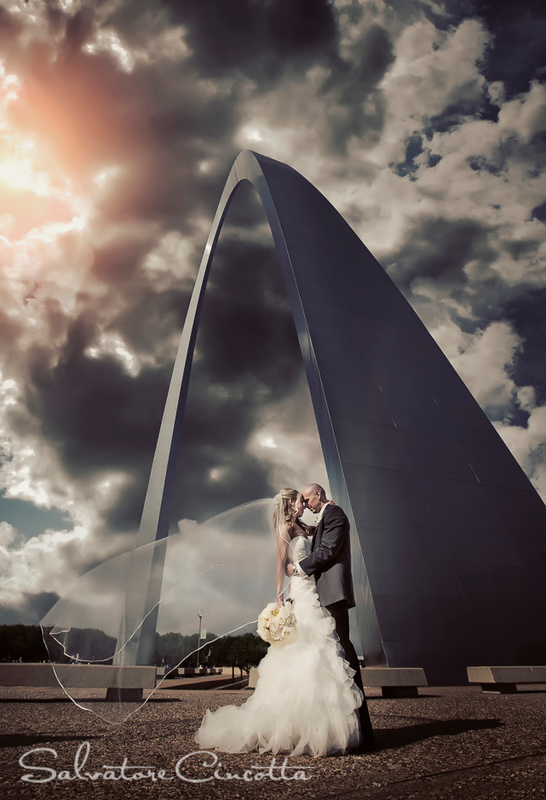 Our very best to the Bride and Groom!